WASHINGTON -- President Donald Trump drew short shrift from key economic allies after he offered a second temporary exemption on metal-import tariffs rather than the permanent waiver most are demanding. 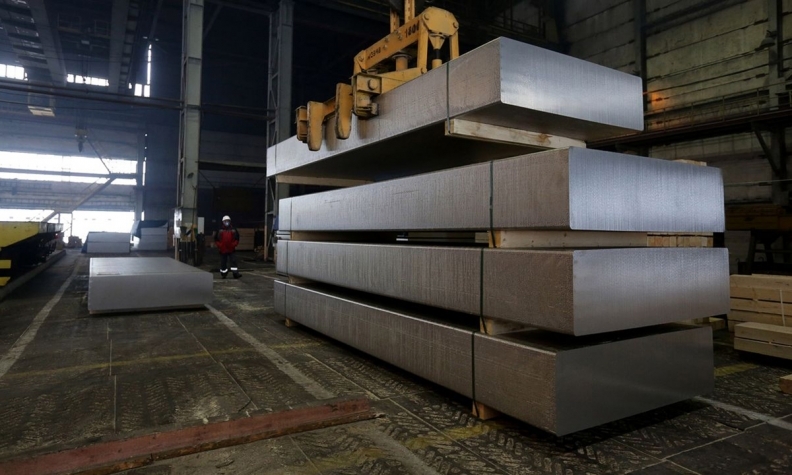 The U.S. said late Monday it would delay until June 1 import tariffs of 25 percent on steel and 10 percent on aluminum for the EU, Mexico and Canada. The White House also said it reached agreements-in-principle with Argentina, Australia and Brazil to remove the levies, which were introduced on national security grounds. "The U.S. decision prolongs market uncertainty, which is already affecting business decisions," The European Commission, the EU's executive arm that coordinates trade policy for the 28-nation bloc, said in a statement. "The EU should be fully and permanently exempted from these measures, as they cannot be justified on the grounds of national security." The president's decision to delay the tariffs gives the White House breathing room as it weighs leaving the Iran nuclear accord later this month, prepares for disarmament talks with North Korea's Kim Jong Un and as Treasury Secretary Steven Mnuchin leads a contingent of cabinet members to China this week to try to head off a brewing trade dispute between the world's two-biggest economies. U.S. Trade Representative Robert Lighthizer has been sent to negotiate with countries seeking permanent waivers from the metals levies. Trump tweeted Tuesday that there was "great potential" for the U.S. in addressing the trade disparities with other countries. "Delegation heading to China to begin talks on the Massive Trade Deficit that has been created with our Country," Trump said. "Very much like North Korea, this should have been fixed years ago, not now. Same with other countries and NAFTA...but it will all get done." Trump has dangled a permanent exemption as incentive to reach a tentative NAFTA deal in the Americas, though talks continue with no immediate agreement in sight. Canada is the biggest steel exporter to the U.S. The 30-day extension prolongs the standoff with the EU, the world’s largest trading bloc. European officials have said the U.S. tariffs violate international trading rules, and they have threatened to retaliate with levies on iconic American brands such as Harley Davidson motorcycles and Kentucky bourbon. The dispute comes as Washington seeks to stave off a separate trade conflict with China. The president has threatened to slap tariffs on as much as $150 billion in Chinese imports in retaliation for alleged violations of intellectual property, while Beijing has vowed to retaliate. Steel and aluminum exporters from China, along with other steel-exporting nations such as Japan and India, have been paying the U.S. tariffs since late March. The U.S. and EU have complained for years that Chinese steel producers unfairly benefit from state subsidies and dump their products on the world market. “Trump is buying time because he is delaying the decision and for that we don’t know whether he is just negotiating or whether he is posturing,” Folkert Graafsma, a Brussels-based trade specialist at the law firm VVGB, said in an interview after the extension was announced.